It's time for one little seed to come out of his shell. But he's afraid. It's a big world out there. There may be dangers! (Like monsters!) There are definitely obstacles. (Like rocks!) And while there's a good deal of uncertainty, he discovers that he has friends to help guide him on his way and root for him to have his day in the sun. 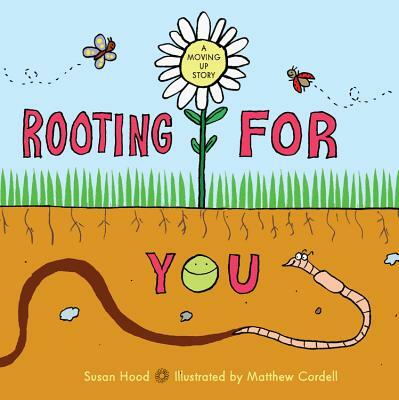 Susan Hood has written for parents and early childhood educators in the New York Times, Nick's ParentsConnect, Sesame Street Parent's Guide, Working Mother, and more. She is also the author of more than 200 licensed books for young readers including board books, concept books, interactive books, nonfiction, and beginning readers. Her forthcoming original titles include Spike, illustrated by Caldecott Honoree Melissa Sweet (Paula Wiseman Books/S&S) and The Tooth Mouse (Kids Can Press), illustrated by Janice Nadeau. Matthew Cordell (www.matthewcordell.com) has illustrated many picture books including, Toby and the Snowflakes, and Righty and Lefty and hello! hello!. His first authored work is Trouble Gum, which he illustrated himself. He currently resides in the suburbs of Chicago with his wife, Julie Halpern, and daughter.